I've made banana bread many times in my life. It was one of the first 'from scratch' things I made as a teenager. It's easy and fairly straightforward. 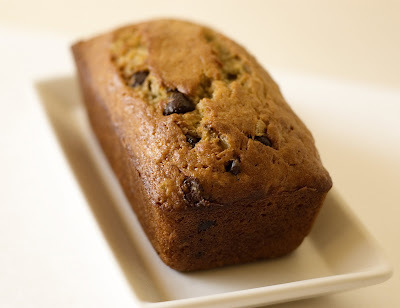 The thought never crossed my mind to to add chocolate chips to banana bread until one day, my babysitter sent my then 3 year old daughter home with a loaf of chocolate chip banana bread that the daycare children had helped make. 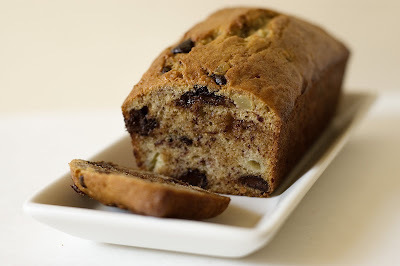 The addition of chocolate to banana bread pretty much blew my mind. How could I have never thought to do that?! It was the best banana bread I'd ever had! I'm sure it wasn't so much the specific recipe, but banana and chocolate are a match made in heaven and I had been totally deprived of this wondrous combo for twenty some odd years! I took note, and from then on, if I made banana bread, it most certainly had chocolate in it. When I saw this recipe for banana bread with chocolate AND crystallized ginger, I knew I had to make it, like, immediately. I love ginger, but I didn't know it until not even a year ago. It wasn't until I started eating sushi that I found my love of ginger. (The fact that I didn't try sushi until I was 27 years old pretty much blows my mind as well, considering how obsessed I became with it almost immediately - an obsession that hasn't waned a bit from that first taste.) I'll admit, it took some getting used to, I wasn't in love right away. But I found myself eating more and more of it each time I had sushi, until I was eating the entire mound they give you, whether or not I had any sushi left to go along with it. Because of this, one random shopping day I picked up a package of crystallized ginger from Trader Joe's. Ohhhh yum. All those big sugar crystals covering the spicy, chewy, dried ginger had me right away. I'd tried some dried ginger before - it was the kind that's dyed red and nothing like this crystallized ginger I found at TJ's. The red stuff was not for me, but the crystallized kind, oh yeah. I usually have to hide the bag so I don't eat it all in one sitting, going for just one more piece, no matter how much my mouth still burns just a little from that last bite. Preheat oven to 350 degrees. Grease a 9 x 5" loaf pan. In a small bowl, melt the butter (or alternately, place in a heatproof bowl and let melt in the oven while it's preheating). Set aside and let cool slightly. In a large bowl, whist together the flour, sugar, baking soda and salt. Add the chocolate chips and crystallized ginger and whisk to combine. Set aside. In a medium bowl, beat the eggs with a fork; add the banana, yogurt, melted butter and vanilla and stir to mix well. Add this mixture to the dry ingredients and stir just to combine - do not over mix. Pour into prepared pan and smooth the top. 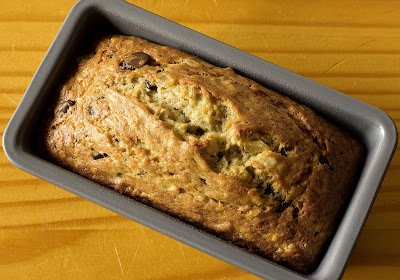 I have been savoring Molly's book, too, and this banana bread has been bookmarked. 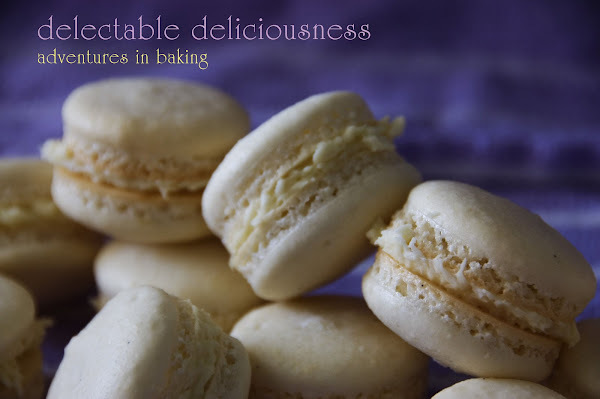 It looks gorgeous and I can't wait to make this too!